Pulford Cottage is under new ownership. The cottage name has been changed to Sand Dollar Cottage. The new owners have been busy remodeling and upgrading as well as updating furnishings. This is a great 3 bedroom, 2 bath home now accommodating 8 (with the sofa-sleeper in the living room). The fourth cottage from the ocean, you will enjoy the convenience of the outside shower to wash off that beach sand. Relax on the fabulous Sun Porch with heat and air for year round comfort. Crank up the gas BBQ grill for those steaks, burgers or hot dogs. Sand Dollar Cottage is a NO PETS, NO SMOKING accommodation. 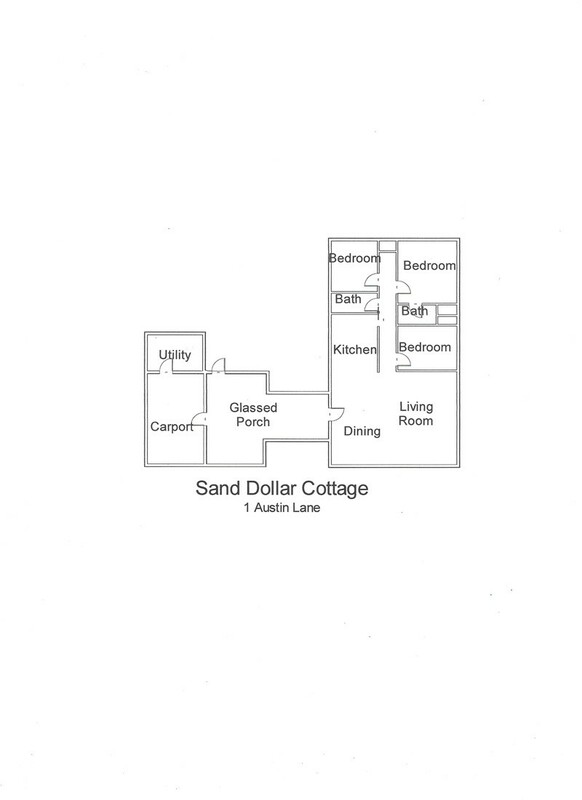 Please contact me with information regarding Sand Dollar Cottage.